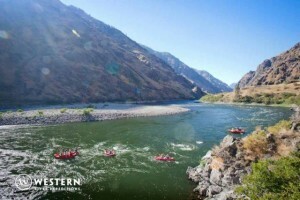 We had an awesome Idaho whitewater rafting trip on the Snake River in Hells Canyon. The only bad parts were the bus trips before and after the rafting, but that was unavoidable. This whitewater rafting and camping trip takes one away from all the world except the family and new friends on the expedition. 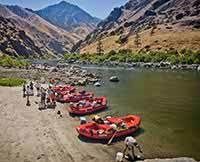 Hells Canyon has spectacular scenery, enjoyable paddling on the river, water was warm enough for frequent swimming and the kids took advantage of that. Good food. The level of activity was adaptable to ones capability. We had 5 people including myself over the age of 70 as well as teenagers and all had a tremendous experience.